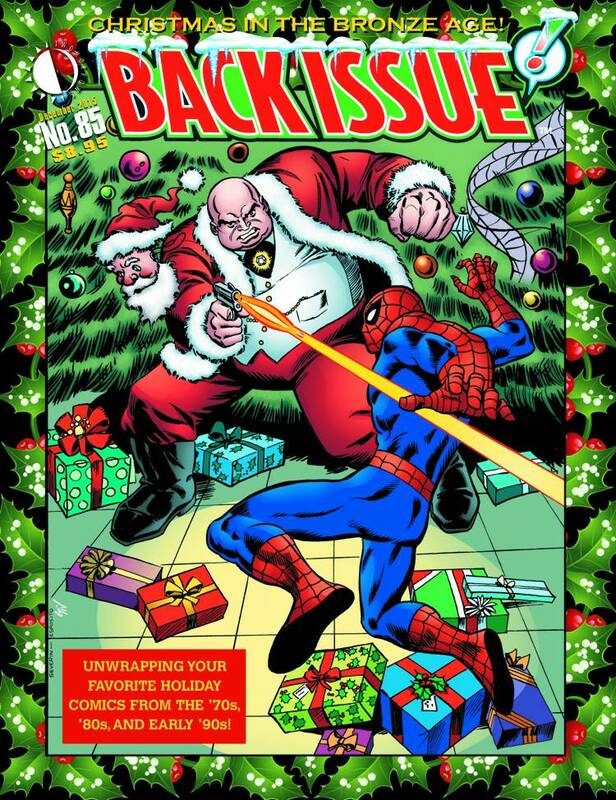 Back Issue celebrates Christmas in the Bronze Age! From Batman to X-Men, Luke Cage to Lobo, the Wild West to the far-flung future, go behind the scenes of comics best holiday tales of the 1970s through the early 1990s! Plus: Remember the Superhero Merchandise Catalogs of the late 70s? Featuring the work of Simon Bisley, Chris Claremont, Jose Luis Garcia-Lopez, Keith Giffen, the Kubert Studio, Denny Oneil, Steve Purcell, John Romita, Jr., and many more. 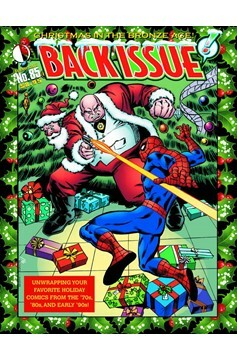 With a Spider-Man vs. Santa Kingpin cover by Marie Severin and Mike Esposito!.